Minister of Railways and Coal, who was on a visit to Belagavi has asked officials to draft a plan to construct the entrance portion of the Belagavi station like Sabarmati Ashram and send it to him for approval. After paying floral tributes to the photo of Mahatma Gandhi and after he was briefed about the importance of the station with Mahatma Gandhi’s reference, he asked his officials to make the front entrance portion of the station like the Sabarmati Ashram as a tribute to the Mahatma. 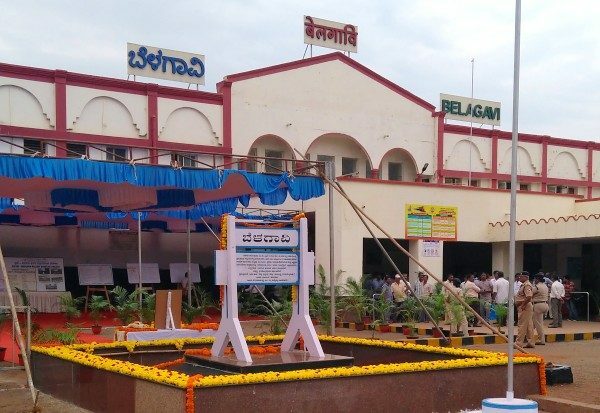 The Belagavi station has a small monument which makes a note of the Arrival of the Mahatma in 1924 to Belagavi as the President for the Congress convention. The same monument could now also have a charka installed according to the minister. Now the SWR officials will have to prepare the plan and send it for approval.